Do you want to be the boss of Vice City? Grand Theft Auto: Vice City is the sequel to the legendary GTA 3. This time we go from Liberty City to Vice City, a place clearly inspired by the Miami of the 1980s. For fans of other iconic titles belonging to the GTA Saga like GTA San Andreas it's a classic choice. Steal cars, get involved in hold-ups and shootings, and above all, get the most out of the enormous city that sprawls, dazzlingly, in front of your eyes. This action game is also available for iPhone and Mac. Grand Theft Auto: Vice City follows the story of Tommy Vercetti, former hitman from the Forelli crime family. The story begins when Tommy gets out of prison after 15 years, and searches for a new life in the concrete jungle that is Vice City. 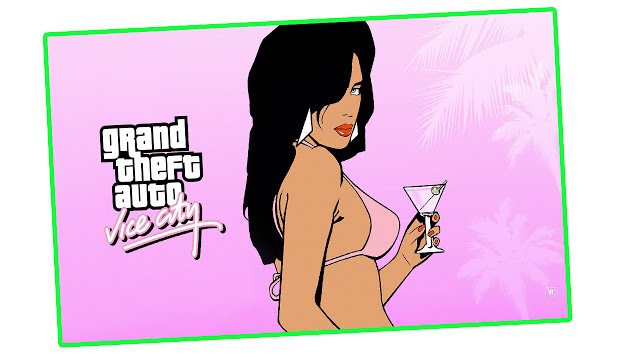 GTA: Vice City lets you experience the best moments of the criminal live of Vercetti and his colleagues through a huge variety of exciting missions. In total, you’ll be able to play more than 60 main missions that go far beyond the grand theft auto that the franchise’s title suggests. With Vercetti you’ll steal, extort, shoot, and be involved in every detail of the dealings of the most notorious criminal. If the variety of missions in GTA 3 already had you convinced, you’ll see there’s even more to offer in Vice City. If you’re the kind of player that likes to take things easy, you might enjoy Grand Theft Auto: Vice City even more. While the game has a story mode and main missions, it also gives you a chance to enjoy strolls through sunny Vice City and take on other activities and secondary missions, such as being a taxi driver or fireman, firing ranges, stunts, and even running your own businesses in the city. Vice City is a nearly flawless recreation of Miami in the 80s. In fact, when you play, you won’t be able to help but think of Brian de Palma’s ‘Scarface’, as well as the legendary 80s series starring Don Johnson, ‘Miami Vice’. The city includes four different neighborhoods that you will enjoy passing through in a car or on foot while you experience the daily life and hustle and bustle of its inhabitants. Although the graphics seem a little outdated today (the game is from 2002), they actually add some charm to the overall experience. In terms of sound, GTA Vice City hasn’t aged at all. The game features voice acting of the first degree. Vercetti is voiced by none other than Ray Liotta (‘Goodfellas’) and the supporting cast is created by the voices of popular actors like Dennis Hopper, Burt Reynolds and Danny Trejo, among others. Another point in GTA Vice City’s favor is its spectacular soundtrack made up of songs from 1986 and the previous years divided by genres: pop, rock, heavy metal, and everything else that they played on the radio in the colorful 80s. 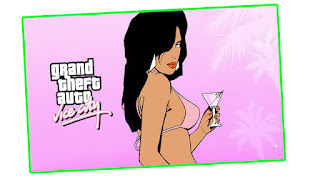 If GTA 3 can be considered the first great 3D sandbox game, Vice City confirmed that Rockstar is the king of the genre. Yes, more than a decade has passed since GTA and GTA 2 came out, and leaving aside advances in graphics, GTA: Vice City still plays like a dream. Its control, variety of missions, and involving storyline (that leaves little to be desired when compared to the mafia films of De Palma and Scorsese) all make this game a delight for any video game fan.